Schluter metal shelves are super cool. We recently installed two in a small shower and they look amazing. Shower niches aren’t always possible in tiled showers. So these metal shelves – which are solid as heck – are great storage options. This tutorial has a quick overview of the shelves and how to install two different options. One way to make tile showers look amazing is to spice them up with accessories. But there are bad options out there that look clunky or outdated. Schluter filled this void with their different metal shelves. Corner shelves can be installed in new or old showers. These are the Schluter Metal SHELF-E and they have four metal tabs that fit inside grout joints. We’ll show you how to install one. There are also metal shelves that mount anywhere on tile walls. These are the Schluter Metal SHELF-W and they are installed using thin-set mortar. Shower niches typically use preformed shelves, solid surfaces, or glass. Now there’s the Schluter Metal SHELF-N. These mount on top of tile and are super easy to use. There are many different shapes and styles. Totally check out these shelves if you’re remodeling a tile shower because they provide storage and much needed style. 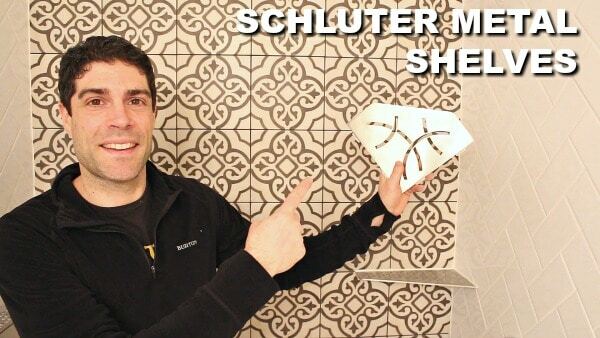 If you’re building a tiled Schluter Shower we have a great video series. Start with this tutorial to see how to install a complete system. 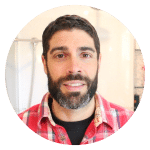 Also, all the video tutorials showing how to build and tile a Schluter Shower are now available inside our Bathroom Repair Tutor Video Library. Gold Members get Lifetime access to the Video Library and Platinum Members get Lifetime access to the Video Library/Courses/Support. Platinum is perfect if you want our one-on-one support during bathroom remodels. Building custom bathrooms and showers is a lot easier with Bathroom Repair Tutor.